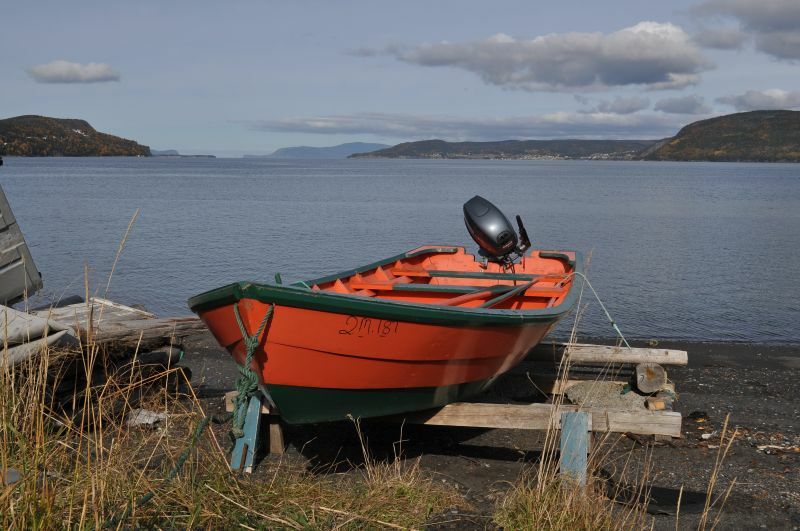 We just visited several villages in Newfoundland and in one village we counted 65 dories with the base orange and trim in dark green. All boats had numbers on them which we think is a registration number. Can you tell me why so many dories in the orange and green trim paint. Are they all part of a company that they work for? Hello Ray, you must be on the west coast of Newfoundland. 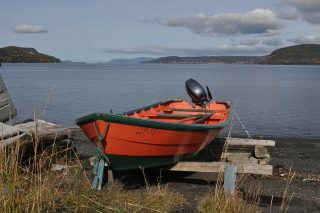 Dories in the Bay of Islands have been painted orange and green for a number of years. Prior to that they were painted grey. I imagine orange replaced the grey for safety reasons, but otherwise I haven’t come across any reason for painting them all the same colour, other than simply being the community tradition.